Brennan Electric is a family owned and operated company that has been servicing the Bay Area for over 35 years. 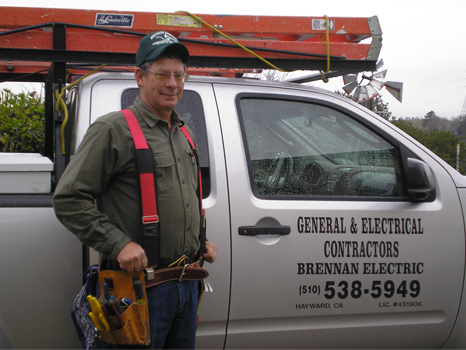 Bill Brennan, founder and owner of Brennan Electric, is a licenced general and electrical contractor and will personally come to each job, whether it is a small troubleshooting problem or a large construction site. So if you have any problems with your house, or have plans for an improved house, give us a call!